NASHVILLE (January 31,2017) – Due to high ticket demand, Tim McGraw & Faith Hill’s Soul2Soul The World Tour 2017 announced additional shows today in all new cities including Edmonton, AB; Moline, IL; Las Vegas, NV; Ft. Wayne, IN; Greenville, SC and a second show in Denver, CO. Ticket pre-sales begin February 3rd and tickets for the general public go on sale starting February 10th at 10am local time. Nashville, TN – Columbia Nashville singer/songwriter and FOUR-time GRAMMY nominee Maren Morris will perform with 15-time GRAMMY winner Alicia Keys during a highly anticipated GRAMMY moment at the 59th Annual GRAMMY Awards live on CBS, February 12. NASHVILLE, Tenn. (Wednesday, January 25, 2017) – MCA Nashville’s Multi-Platinum-selling breakout star Sam Hunt reveals his four-month 15 In A 30 Tour kicking off June 1 in Cleveland. The tour hits over 30 markets including Toronto, Chicago, Atlanta, Los Angeles and Nashville. Special guests include the GRAMMY-nominated, CMA New Artist of the Year, Maren Morris; the high-energy, multi-instrumentalist, Chris Janson and singer/songwriter Ryan Follese. Tickets go on sale Friday, Feb. 3. Visit www.SamHunt.com for more details. NASHVILLE – (January 24, 2017) - Two-Time CMA and ACM Entertainer of the Year Luke Bryan announced this morning he will kick-off a brand new “Huntin’, Fishin’, And Lovin’ Every Day Tour” this May, launching with a show in Music City at Bridgestone Arena on Friday, May 5. Special guest is Brett Eldredge on all shows along with Lauren Alaina, Craig Campbell, Adam Craig, Seth Ennis and Granger Smith sharing the opening spot on various dates. Go HERE to see how Luke revealed the tour and his special guests to his fans today. Country music superstar LUKE BRYAN will sing the National Anthem as part of Super Bowl LI pregame festivities at NRG Stadium in Houston on Sunday, February 5, the NFL and FOX announced today. The performance will be televised live on FOX prior to kickoff. 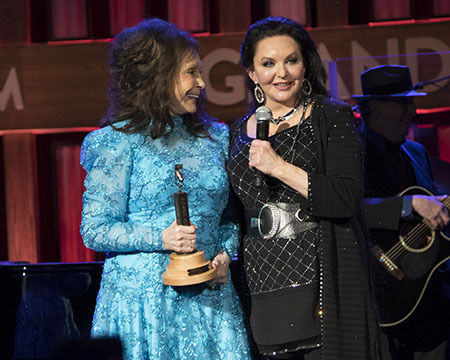 NASHVILLE, Tenn. (January 21, 2017) – Grammy®-winning songstress Crystal Gayle was inducted into the Grand Ole Opry® this evening at the Ryman Auditorium by her sister and Opry legend Loretta Lynn. Gayle made her Opry debut 50 years ago on the Ryman stage, singing the country classic “Ribbon of Darkness” at age 16. She had been publicly invited to join the Opry by Opry member Carrie Underwood in November. NASHVILLE, TN - Jan. 21, 2017 - As Multi-PLATINUM singer/songwriter Dierks Bentley stepped on Nashville’s Bridgestone Arena stage tonight for the first time as a headliner, he immediately earned a deafening welcome from a sold-out crowd in Music City, that stayed on their feet for more than two hours until the very last note. NASHVILLE, TN - Jan. 19, 2017 - Honing in on the melodious foundation that first brought the multi-PLATINUM trio together, Lady Antebellum returns to radio airwaves today with "You Look Good,” while concurrently announcing it as the debut single off their sixth studio album HEART BREAK (Capitol Nashville), to be released June 9. After taking time to pursue solo projects last year, Charles Kelley, Hillary Scott and Dave Haywood simultaneously share plans to return to the road, with more than 65 shows planned in six countries on their YOU LOOK GOOD WORLD TOUR, presented by NABISCO. To celebrate, at 8:00P CT tonight Lady A will host a Facebook Live fan event premiering new music at https://www.facebook.com/ladyantebellum/. NASHVILLE, Tenn. – (January 18, 2017) – Blake Shelton became the first country artist ever to win the People’s Choice Award for Favorite Album tonight with 2016’s Gold-certified smash If I’m Honest. 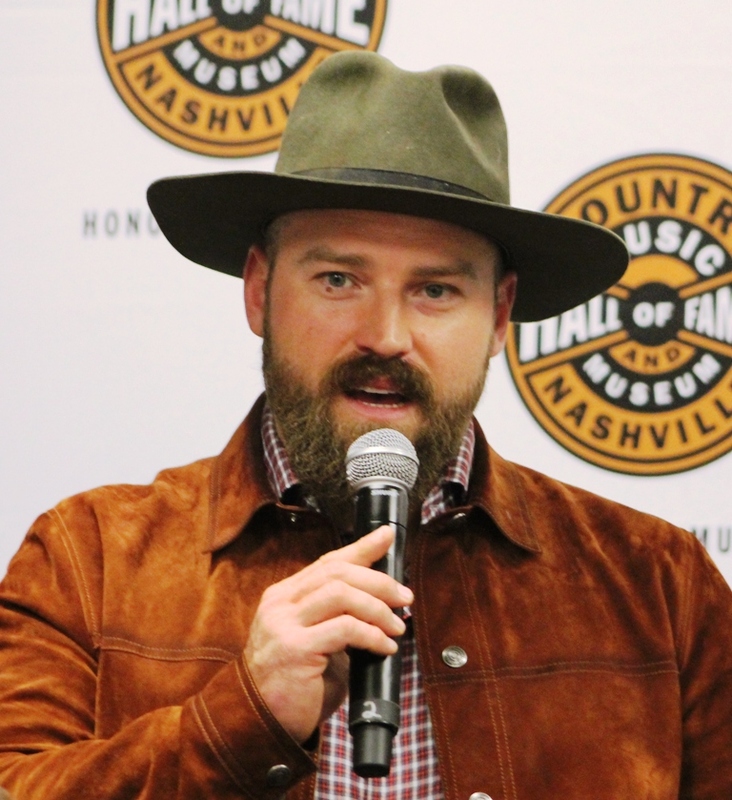 Shelton, who also took home his second consecutive award for Favorite Male Country Artist, joins superstars and previous winners such as Ed Sheeran, Justin Timberlake, Lady Gaga and more. TWEET: Just announced! 52nd @ACMawards will air LIVE from Las Vegas’ @TMobileArena April 2 at 8pm on #CBS! unprecedented collaborations, surprising moments and more to be announced in the coming months. Zac Brown Band will kick off their 2017 headlining North American concert tour on May 12th in their hometown at Atlanta's Verizon Wireless Amphitheatre at Encore Park. The 40+ date tour sees the band returning to stadiums and amphitheaters nationwide including Hollywood Bowl, Wrigley Field, Coors Field, Gorge Amphitheatre and Camden's BB&T Pavilion where last year they broke the record for the best-attended show in the venue's 22-year history. "We’re looking forward to heading back on the road in 2017 and sharing some new songs with our fans,” Brown said. Currington is set to hit the road in 2017 with his Stay Up ‘Til the Sun tour. 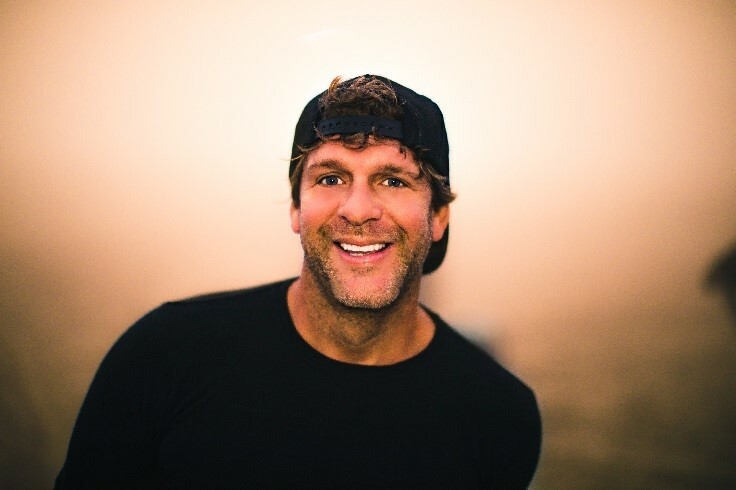 Platinum-selling, Grammy, ACM and CMA nominated artist Billy Currington will hit the road on his headlining Stay Up ‘Til the Sun tour beginning March 9th, 2017 in St. Louis, MO. Billy’s energetic live shows always invite the audience to what feels like a great family reunion that turned into a raucous party. LINCOLN, Neb. -- Eric Church wastes no time bringing music to his fans in 2017 as he embarks on his Holdin’ My Own Tour this weekend. The tour will kick off at Lincoln, Nebraska's Pinnacle Bank Arena this Friday, Jan. 13. The “Kill a Word” singer will see 60+ cities in North America and will be without any opening acts for the entire tour. The award-winning singer/songwriter and his band will bring their two-set show that New York Times says is “fuel for love, for anguish and, naturally, for other music,” to both coasts before ending with a two-night blowout at Nashville, Tennessee's Bridgestone Arena in May. NASHVILLE, TN - Jan. 13, 2017 - RIAA’s top digital Country male artist of all time Jason Aldean makes plans to return to the road as he announces today details for his JASON ALDEAN: THEY DON'T KNOW TOUR, launching in Toledo, OH, on Apr. 27. Named after the only Country album to claim the top spot on the all-genre Billboard 200 chart in 2016 that's "packed with stadium-size songs and arena-ready hooks" (The Boston Globe), the Multi-PLATINUM entertainer is sure to bring that same energy to the stage while boasting support from special guests Chris Young, Kane Brown and Dee Jay Silver. Tickets for the first dates will be available beginning Jan. 20 at 7:30A CT on JasonAldean.com and LiveNation.com. Select cities are also part of Live Nation's Country Megaticket which go on sale Jan. 27 at www.megaticket.com. Live Nation is the official promoter of the tour. NASHVILLE, TN - Jan. 13, 2017 - As GRAMMY nominee Dierks Bentley continues “following his muse to wherever it might take him—with the sky as the literal limit" (Esquire), he finds himself halfway across the world in remote areas of Iceland in the debut of his epic music video for “Black” on TIME. Over a four day shoot featuring breathtaking landscapes, stunning supernatural effects and incredibly intimate moments with his wife Cassidy, Bentley visually sets the tone for "the sexiest songs of his career" (Associated Press, Rolling Stone). NASHVILLE, Tenn. – Jan. 13, 2017 – For the first time in its 50-year history, the Country Music Hall of Fame® and Museum has announced its complete slate of exhibitions for the upcoming year. Revealed this week via the museum’s social media channels, the 2017 schedule includes exhibits on Jason Aldean, Loretta Lynn, Shania Twain, and country music couple Faith Hill and Tim McGraw. Alan Jackson and his mother, “Mama Ruth” Jackson, photographed on the back porch of her residence – his childhood home – in 2016. January 7, 2017 – Mrs. Ruth Jackson – known to her family, friends and country music fans the world over simply as “Mama Ruth” – died Saturday morning, January 7, peacefully at her home in Newnan, Georgia. Mrs. Jackson became a celebrated part of son Alan Jackson’s career and life story as the inspiration behind some of his fans’ favorite music. Mama Ruth was 86. BLAKE SHELTON AND RYMAN HOSPITALITY PROPERTIES, INC.
NASHVILLE, Tenn. (January 5, 2017) Grand Ole Opry Member Blake Shelton and Ryman Hospitality Properties, Inc. (NYSE: RHP) today announced plans to transform Shelton’s breakout hit “Ol’ Red” into a new lifestyle brand anchored by a $20 million multi-level entertainment venue in the heart of Music City’s famed Lower Broadway. NASHVILLE, Tenn. (January 2, 2016) – Joining the star-studded tribute to Randy Travis on February 8, 2017, will be Travis Tritt, Kane Brown, James Dupre, Scotty McCreery, Joe Nichols, Collin Raye, The Bellamy Brothers and Ricky Traywick. The event, titled 1 Night. 1 Place. 1 Time: A Heroes and Friends Tribute to Randy Travis, will also feature performances from Alabama, Kenny Rogers, Rodney Atkins, Chris Janson, Jamey Johnson, Montgomery Gentry, Michael Ray, Ricky Skaggs, Michael W. Smith, The Randy Travis Band, Tanya Tucker, Josh Turner with more still to be announced. Tickets for the highly anticipated event are on sale now at all Ticketmaster locations and the Bridgestone Arena Box Office.